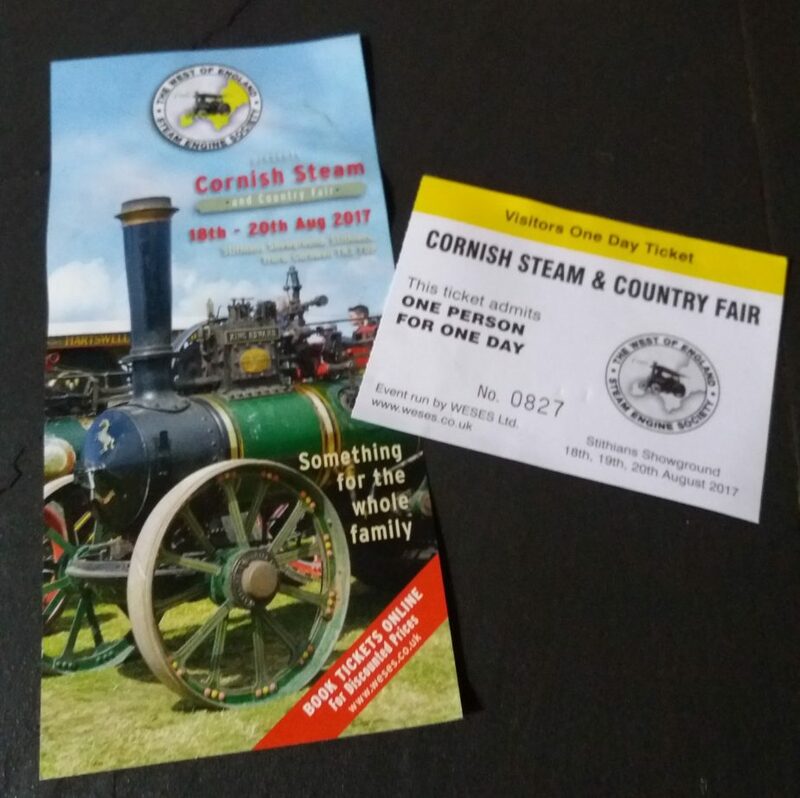 We first heard about the Cornish Steam and Country fair when we spotted a sign by the roadside with dates and a postcode. 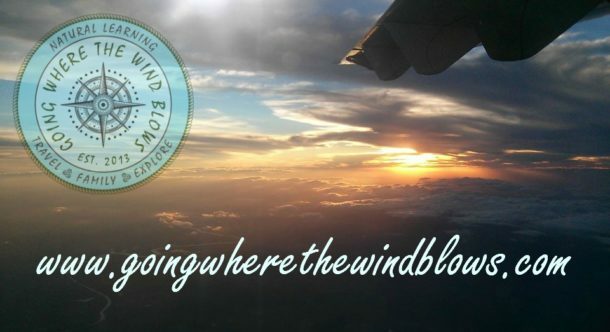 A quick google search on our return home and I was able to order tickets online and save 25% off the entrance fee. Kids under 12 go free which is a fabulous family offer as we have four children. £7.50 (with discount) for a family day of fun was well worth it. As I had booked online in plenty of time my ticket arrived in the post the very next day. We’re renting a house near Penryn, so according to Google maps we were only a 10 minute drive away from the St Stithians showgrounds. 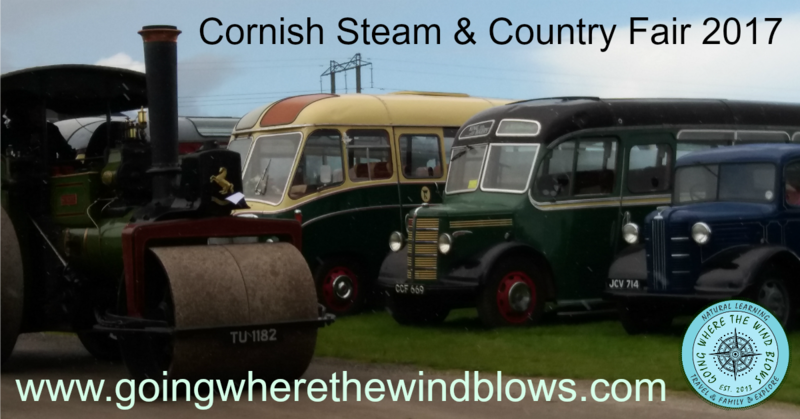 What Can You See at the Cornish Steam and Country Fair? As soon as you walk through the entrance gate you can hear an organ playing. 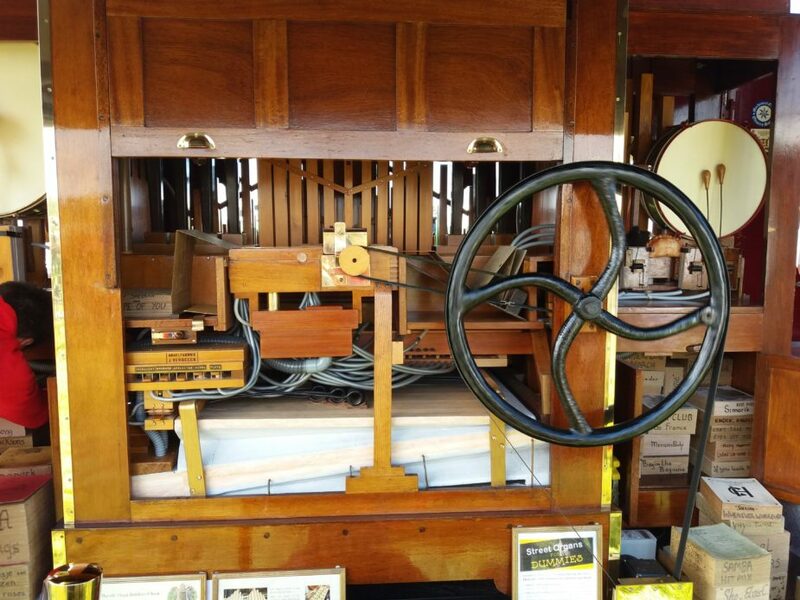 Fairground organs were designed to be loud to get your attention and attract you to a particular ride. At least that is what we learned during a talk from one of the organ owners. There were a number of organs spread around the display area so they weren’t competing with each other. We really enjoyed the talk where we heard about the cardboard ‘note’ books and the origins of the organs. 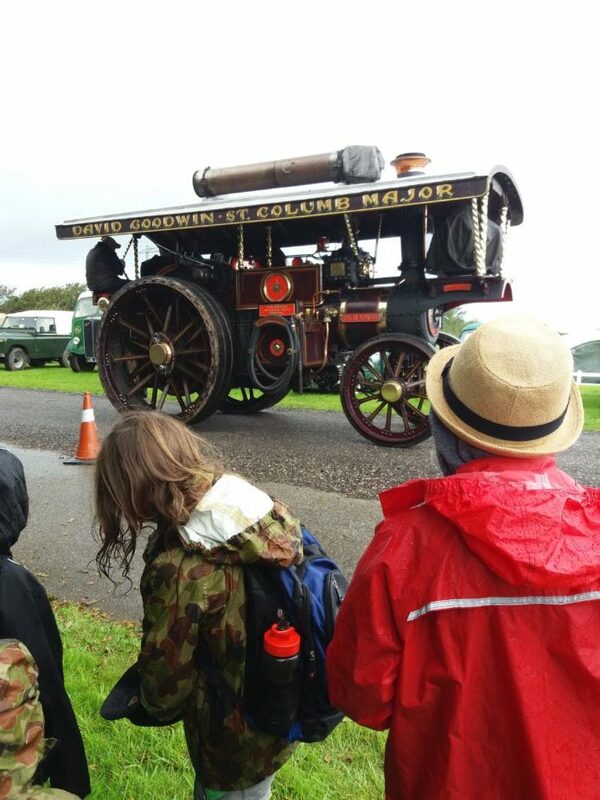 There was something to interest all visitors to the St Stithians showground for the Cornish Steam and Country Fair. If you were hungry there were a wide variety of food carts. including bars for beer and cider, fish’n’chips, hot dogs, burgers and of course pasties! Sweet tooth’s could be indulged with ice-creams, candy floss, donuts, crepes and numerous sweet stalls. Top Tip: we couldn’t find any food sellers that would accept bank cards – CASH SALES ONLY!!! 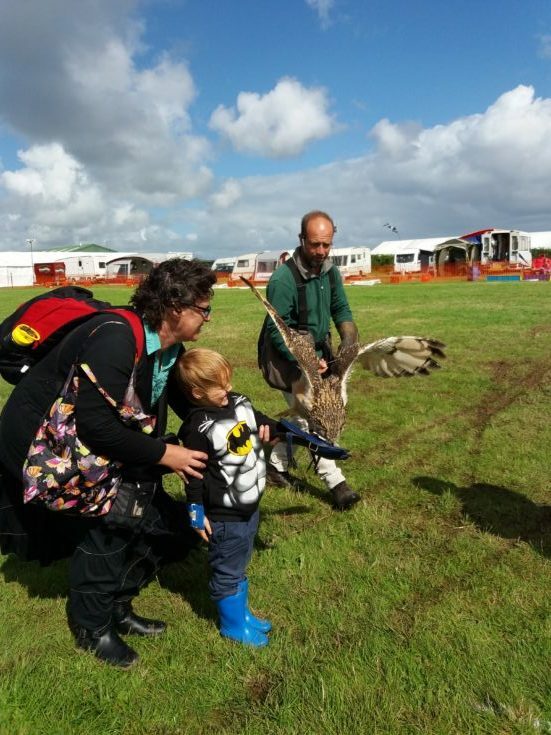 Can you visit a Country Fair in wet weather? At the St Stithians showgrounds there were hard paths which the steam engines trundled around despite the frequent summer showers. We went prepared with waterproof coats. Next time we would be sensible like other visitors and wear gumboots or wellington boots as the grassed areas got very boggy! When the showers hit we sheltered behind hedges or crowded in to display tents and under gazebos of stall holders. During showers these areas were quite crowded or cosy! 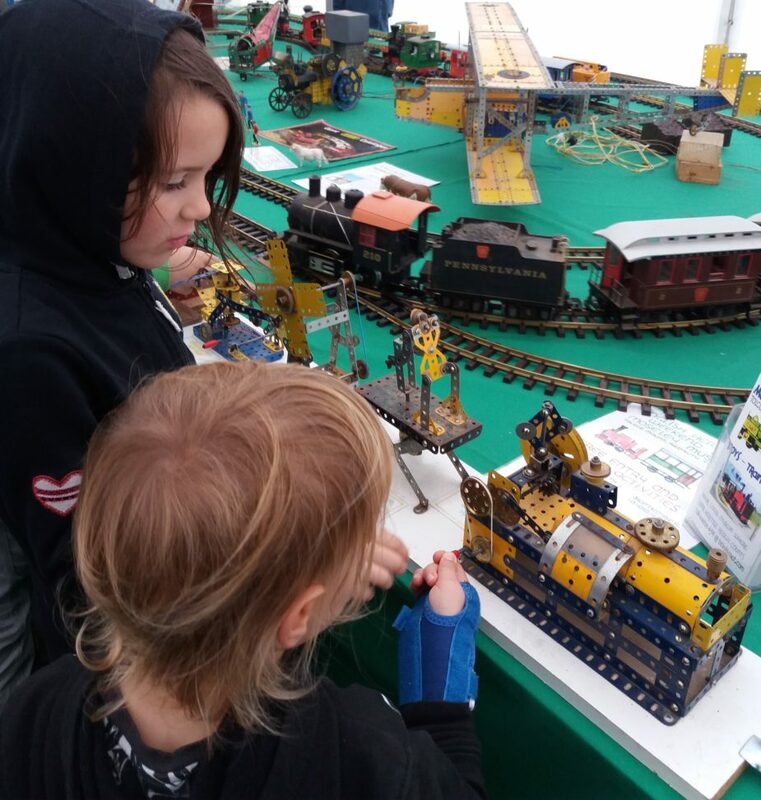 We would have visited the meccano displays and craft areas rain or shine. 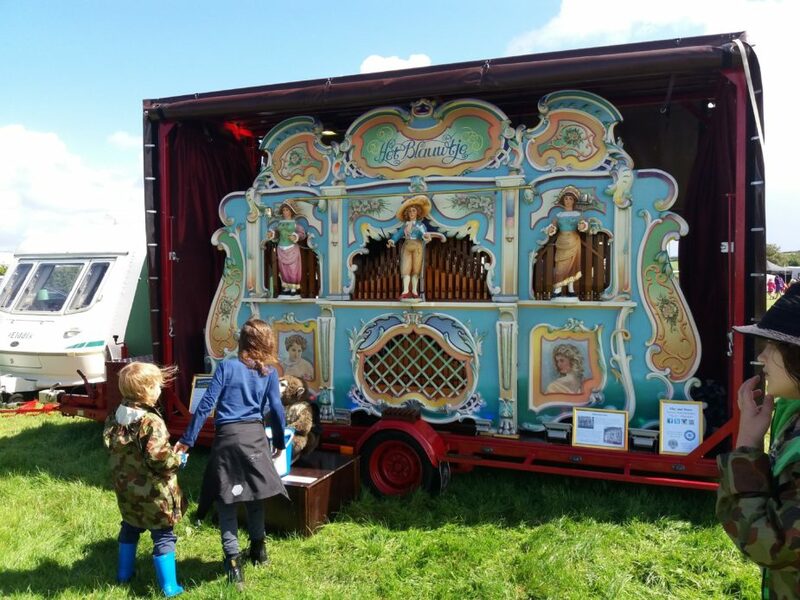 Are Traditional Fairground Organs Loud? There were a number of fairground organs around the site, well spaced so they didn’t compete with each other. They were loud, vibrant and superbly detailed. There was a mixture of old and more modern builds playing classic music and more modern. We sat and listened to a talk by one of the owners and learned so much about the workings and the costs involved. The processes to make the cardboard books with the cutouts for the notes were very interesting. £75 for one book! Lily was particularly pleased when he dug around his collection to find Let It Go from Frozen as she was wearing her favourite movie T-shirt. You can see the rear and front images of his organ below. If you look closely (middle left) you can see the cardboard book unfolding and being fed through the workings. Click images to enlarge. He uses a motor to power the wheel but did do a hand demonstration. You could see how difficult it would be to keep up a constant tempo for each tune to play well. We were enjoying learning about hurdle making from one stand and thinking about calling it a wet and soggy day when… we heard an announcement calling for volunteers in the display ring. 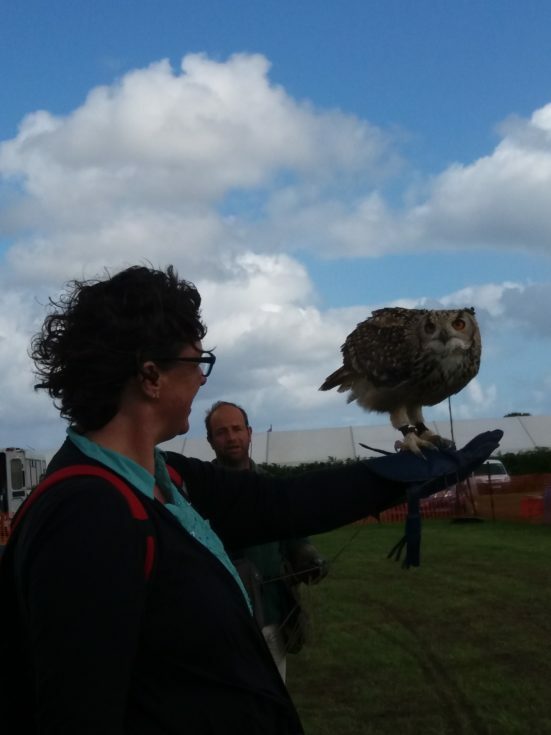 Turned around to see a couple of people waiting to encounter a Bengal Eagle Owl. We all took a turn with the glove and having bait placed on it for Jasper to fly to. This was easily our highlight of and perfect end to the day – such a beautiful bird and an honour to be so close. Heed the warnings to keep your fingers out of sight when assisting your 4 year old to hold his arm straight! Check out the videos of our eldest three children and photos of me and our youngest below.